THE LINUX STUFF: SVN server configuration on Linux step by step? This we have to place in cron for every 1 minute. 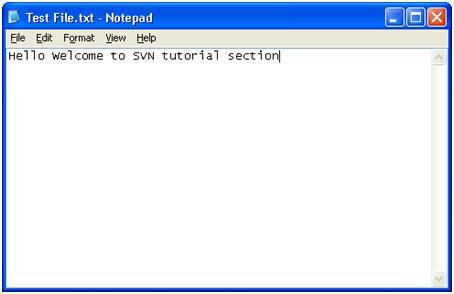 Our forums user Will have also written guide, howto to install and configure SVN (Subversion). This is little bit different method. Here is my sample configuration file. 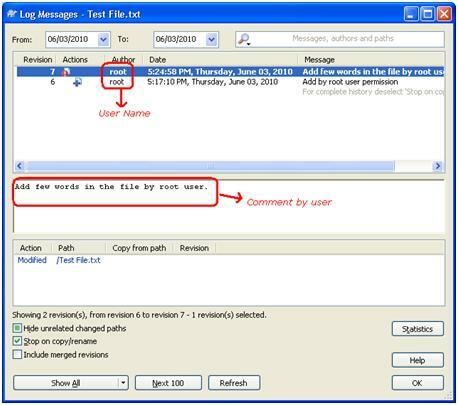 • In the below file root user has read and write access on the whole repository but amit user has only read permission he will not able to make any changes on any files. • You can also define repository folders permission to users wise here. Open you browser and type http://localhost/repos Then first you have to login by previously created user by you .Now you can see that a page with ‘Revision 0:/’ will appear. 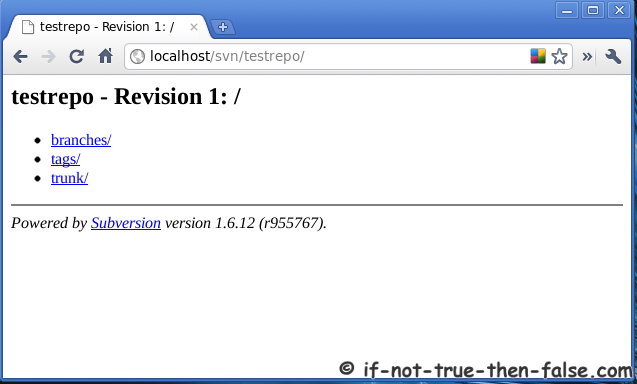 Congratulation, you just completed the SVN server setup. Trunk is the main development area. This is where your next major release of the code lives, and generally has all the newest features. Every time you release a major version, it gets a branch created. This allows you to do bug fixes and make a new release without having to release the newest – possibly unfinished or untested – features. A tag is just a “snapshot” of a project in time. In Subversion each revision is a snapshot of the repository filesystem after each commit, and it can be used as a tag. But people often want to give some human-friendly names to tags, like release-1.0. 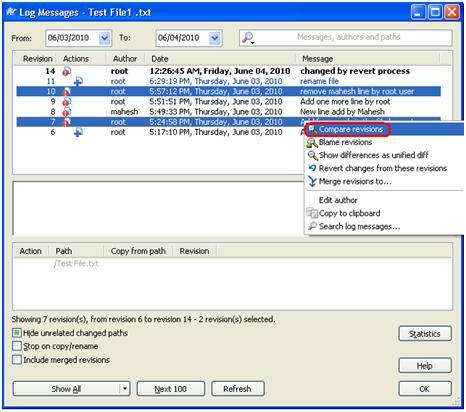 Tag is a named snapshot, a symbolical connection with the specified revision of a project. When first time you want to work on the project you have to create a local working copy. 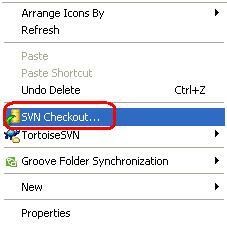 You can create working folder by just right and select SVN checkout from the menu. 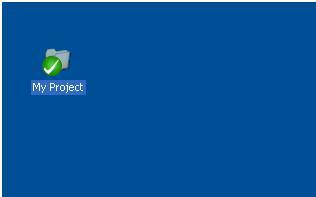 In below screen short you can see here I want to create a new folder named My Project and click on Ok.
Now you need to provide your user name and password to get connected with your repository. 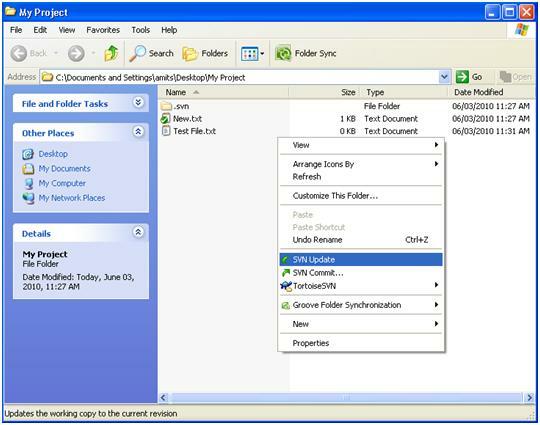 Now you can see a folder My Project with the green check it mean you’re working folder is ready and data fetched from repository server to your working folder. 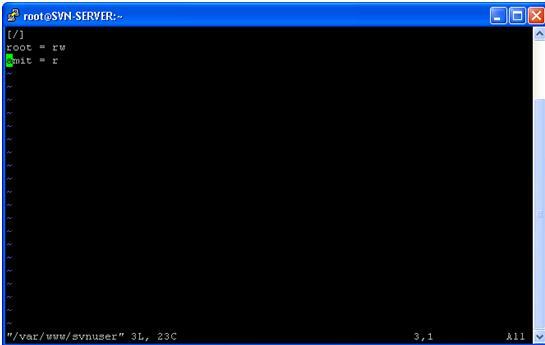 When you create new file named Test file.txt in the working folder it show like this. Here you have to add some comment to that other users will know about this and press Ok. It gave an error message because Amit user not has permission to add or modify on the repository. 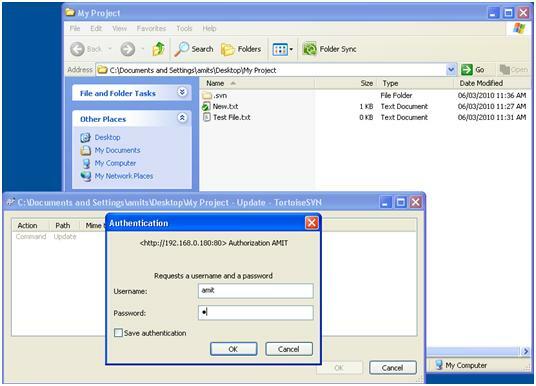 You have to use other user credential or ask permission for add or modify by system admin. Now I just add few words in that file and save and exit to it now you can see red check on the file it mean someone changed in the file and have to commit it so that your working file and repository file will be on same point. Now it was at revision 7 and again green check on the file. Let’s move on some other option like show log it will show you history of that file. Please review below screen short for more details. Here you can compare any version changes. Subversion isn't just for coders and programmers...I know because I'm not one. I've begun to use it lately for many things, such as, backing up Nagios configurations, documents, and pretty much anything text based. I don't know why I didn't start using it sooner, but none the less, here I am. This document quickly explains how to install, configure, and use subversion locally, as well as across Apache on a network. For complete and complex configurations and installations seek the documentation provided. There is plenty of well written documentation on the subject, that far exceeds my knowlegde of the tool. This just helps get you started quickly, for those like me that just like to jump in head first into new things. The first thing to do is to install the packages I mentioned above. If you don't have Apache installed already, it'll go ahead and drag that down as well. When you install from yum, there's a longer list than the two packages above that will automatically resolve themselves. Some other things will be installed automatically. Depending on your packages, your mileage may vary. Before you delve into the deep end, you need to ensure Apache is set up first. I'm assuming this is a virgin installation, so if you already have Apache things going...be careful what you change. I'm also going to explain setting this up with basic password protection. You can easily let this out, however, if you want to allow access to the repos from everyone. First thing is make sure you open up /etc/httpd/conf/httpd.conf and at least change the ServerName directive. If you need more help or more complex configurations, then consult the Apache docs please. Browse to your machine on the network and see if you get your test page, which you should: http://yourmachine. Working? Great, let's move along to more fun things. The next step is to setup some settings within Apache so Subversion and Apache play nice together. 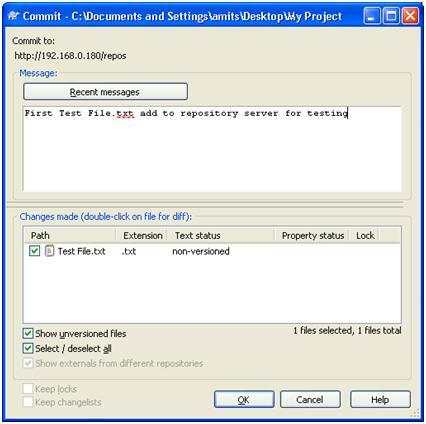 Get yourself to the example configuration file Subversion installed for you. The location is what Apache will pass in the URL bar. 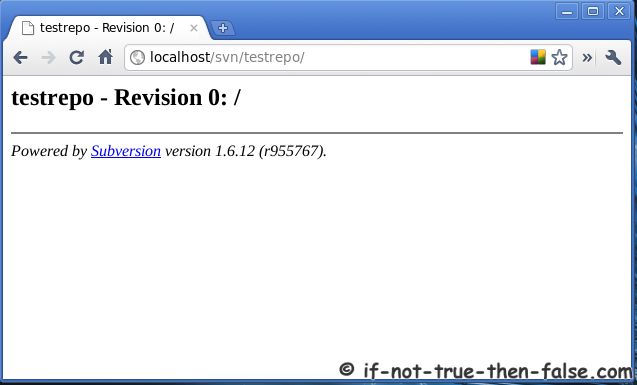 For instance: http://yourmachine/repos points to the SVNPath that you have specified. My examples are just that, so feel free to put things where you want. Make sure you save the file when you are finished editing. Next we have to actually create the password file that you specified in the previous step. Initially you'll use the -cm arguments. 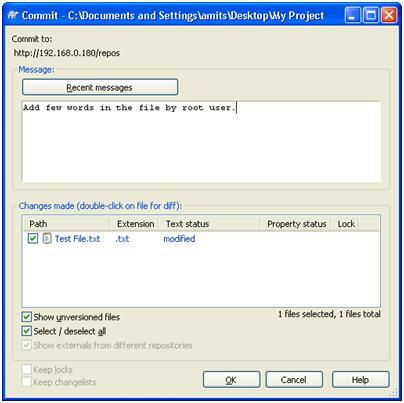 This creates the file and also encrypts the password with MD5. If you need to add users make sure you simply use the -m flag, and not the -c after the initial creation. 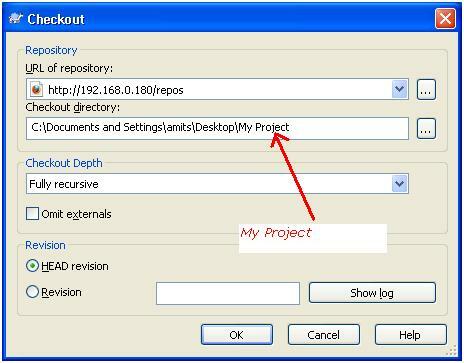 The next thing you need to do is to create the actual repository from which you will check in and out your files. This is simple to do with some of the included svn tools. Go test out whether or not you can access your repository from a web browser: http://yourmachine/repos. You should get a popup box asking for a username and password. If so, type in your credentials and you should be displayed with a Revision 0:/ page. If so, that's it for setting up a repo. If you want multiple repos, check out the docs from the links provides above. This sets up one repository and shows you how to start using them. Speaking of, let's move on to just that. The book explains why in a bit more detail, and I mainly don't bother using this type of layout...because I'm not doing coding and maintaining "projects" per se. As an example, I'm going to just create some dummy directories and throw some files in them. This is from the actual SVN server. Play along. [root@svnser ~] vim configurations/testconf1.cfg -- Add whatever you want to these files. Keep in mind that you can layout anything anyway you'd like. Once you have the initial layout of what you want, let's go ahead and import this up to Subversion. [root@svnser ~] svn import /tmp/mytestproj/ file:///var/www/svn/repos/mytestproj -m "Initial repository layout for mytestproj"
Now, just to check it out across the web browser: http://yourmachine/repos. You'll get whatever you have imported showing up to peruse. Once you upload your original layout from the local SVN server, you're now free to use it remotely on another machine. As long as you are connecting to the Subversion server with the user account(s) that you created earlier. Let's give it a shot. As you can see, you've checked out revision 1 from the Subversion server. Now you can edit some things and commit the changes back to the Subversion server. [me@mylappy ~] vim configurations/testconf1.cfg -- Add or delete something and save. [me@mylappy ~] svn commit -m "Added a line to testconf1.cfg." The nice thing about this then, is that you can delete all of the directories that you just checked out on your machine. The only reason you checked them out, was to edit them, and then send them back up the line. 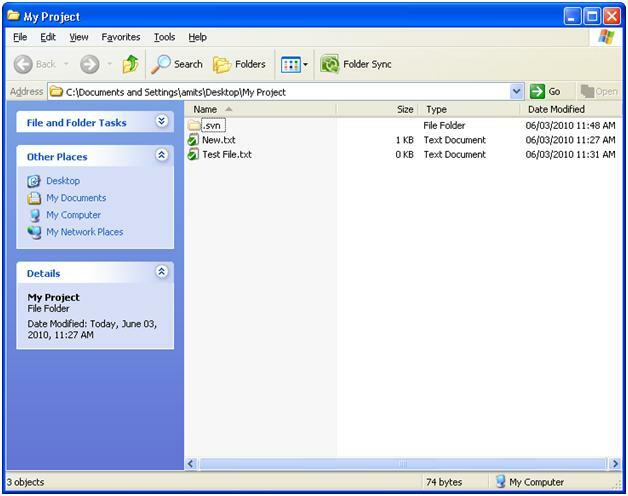 Web browse to your server to check out the different files. Now this is all fine and dandy, but how do you add more files to an already existing repo directory? Easy, with the add argument. Go ahead and checkout your latest and greatest, copy a file over to a directory, add, then commit the changes. [me@mylappy ~] svn commit -m "Added the CentOS Yum repo file." 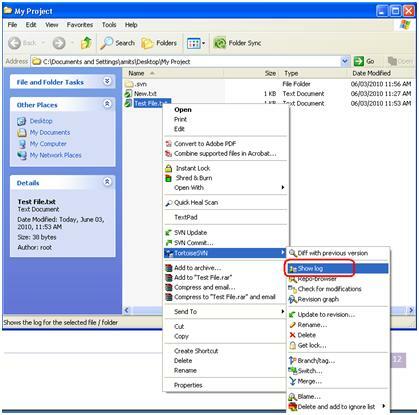 To delete items simply use delete instead of add. Commit your changes back up, and you're good to go. It's as simple as that. Go back over to your web browser again and you'll notice the revision number should say 3. You'll be able to click through the files to pick our your differences as well. Ok, this is all great but how do I revert back to an older revision...isn't this the point of Subversion? Yep, it's easy. If you're not sure as to what revision you're at...check out the log command. This is why you put a message in every commit. Short and to the point, but enough information to ring a bell that you perhaps forgot about. You'll get a nice complete list of revision numbers along with the comments, like I mentioned above. This allows you to pick which revision you want to check back out now. This command will drag down revision number 1.